A toolbox holds your tools—but when you want it to do more, you might need to get yourself a Coolbox. 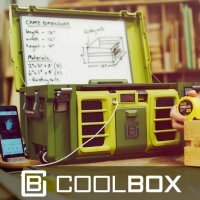 The Coolbox is a new project up in Indiegogo that has already raised over $260,000 of their $50,000 goal. What makes the Coolbox so cool? 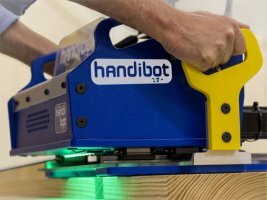 It is packed full of technology to help make your tool using experience more enjoyable. Nothing gets you going like a nice hot cup of coffee in the wee hours of morning, but getting unlimited good fresh hot coffee on the jobsite isn’t always easy. 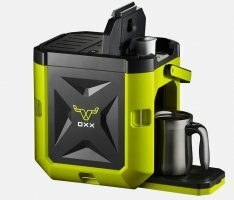 One way to do it though, is to bring your coffee maker with you, and the Coffeeboxx Coffee Maker thinks it is perfect for the task. 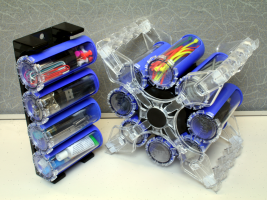 3D printing technology sure has come a long way in these last few years. 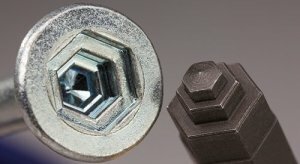 Something that wasn't even well known, is now not only known, but is at the point where it can actually be used to make production items. 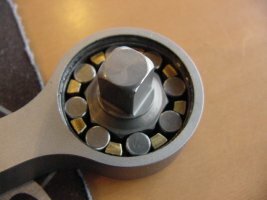 The NRG3 Roller Socket Wrench was prototyped using 3D Metal Printing and they plan on using 3D technology in production units. 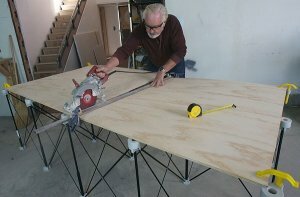 Inventor Ed Adkins has come out with what he has named the Centipede Sawhorse, but there is one problem, though it seems to be able to do all the things a sawhorse is capable of doing, it looks nothing like a sawhorse. 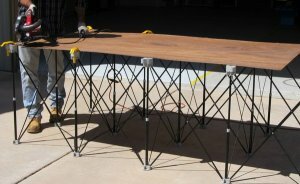 But who says a sawhorse has to look like a horse?